Everyone knows Spain for their famous tapas and sangria, but did you know that according to Maps of World, there are at least 50 major Spanish cities? While this is great news for travellers who suffer from insatiable wanderlust, it has certainly made travel planning a little tougher for those who wish to see them all but have limited time and spending power. The differing climates, demographics and history have shaped each destination into an inherently different Spanish city. Barcelona is arguably most visited for its captivating architecture work by Antoni Gaudi, Segovia is popular for its UNESCO World Heritage-listed ancient Roman Aqueduct, while Pamplona is renowned for its Running of the Bulls festival etc. And then, we have many many many more. From Ibiza, San Sebastian to Granada, here are 8 Best Cities in Spain to Visit and The Attractions You Must Not Miss. Mention Barcelona and most people think of F.C Barcelona, Gaudi and tapas. But what about churros? The fried-dough pastry is a supremely popular snack in Spain, and especially so in Barcelona. They can either be thin or thick, usually eaten with a chocolate dip, or has fillings inside like cream and chocolate. Dusted with powdered sugar, eating churros in Barcelona is a very quintessential Spanish thing to do. Churros with hot chocolate dip is a pair made in heaven. We don’t love churros because it is good or healthy; we love churros because it is bad, sinful and every bite makes you go crazy. 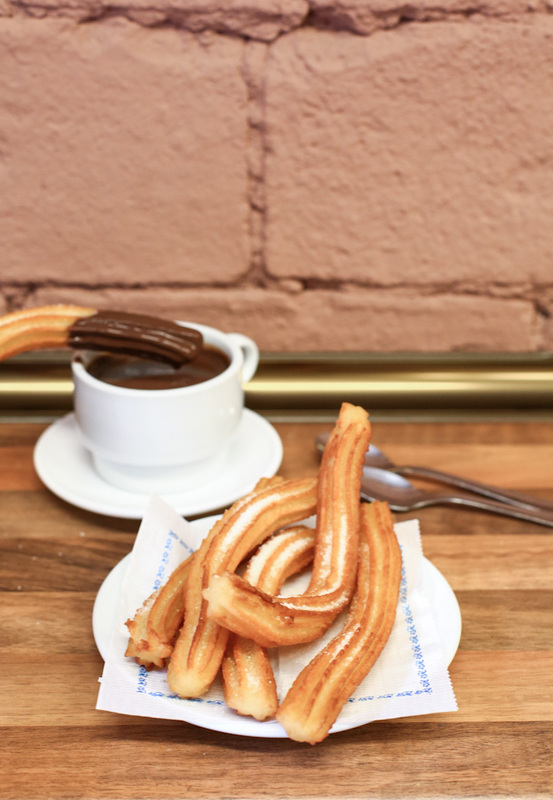 Here is a guide on 7 of the best churros that you can find in Barcelona. Eating tapas is a quintessential thing to do when in Barcelona, and the variations are aplenty so there will always be something to try every day. Call it a lifestyle maybe, and we really love how the Spanish indulge in the art of waking up late and lingering around tapas bars when the whole world is hard at work. Here is our guide to Barcelona’s Top 11 Tapas Bars that you must try at least once in your life. Spain is indeed unlike any country that I had ever visited; its rich tradition and interesting culture can never be mimicked nor replaced. Spanish cuisine is such a joy to explore! 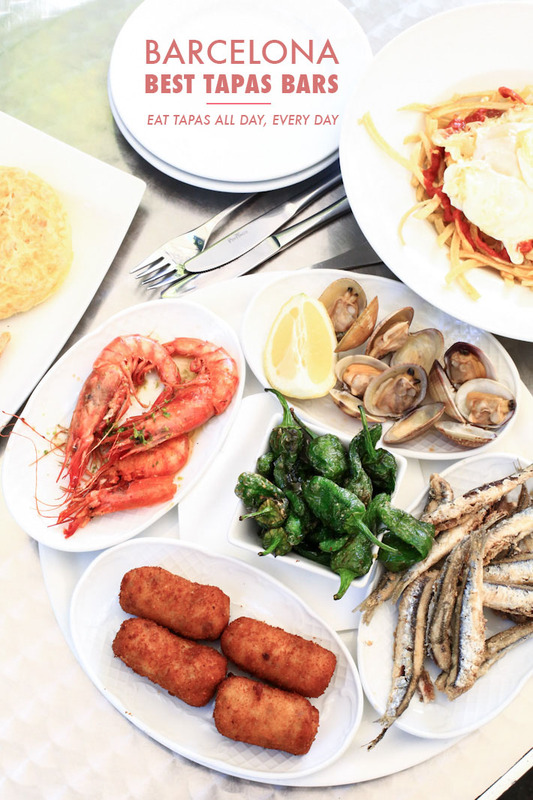 My gastronomical odyssey across Barcelona was a fulfilling one as I dug into fragrant paella and tranches of fresh seafood tapas. I have listed 5 must-visit restaurants in Barcelona, from an internationally acclaimed tapas bar with over 100 years of history to a relatively new designer ice cream stop that is taking Barcelona by storm. Barcelona is an amazing city. The weather is perfect, the locals are friendly, the shopping is great, and of course, I like the fact that people here love dining till late. It has always been my dream to visit Spain, and eat Spanish tapas while bar-hopping. I managed to go to some of the eating spots that a few readers recommended when I mentioned on twitter that I was heading to Barcelona.